This is part 6 in a 7 part series on Genre, which takes a nostalgic look at some of my personal experiences with various types of music, games, and pop culture over the years. Check out the others if you would like! Suggestions for how to improve? Contact me or leave a comment below! 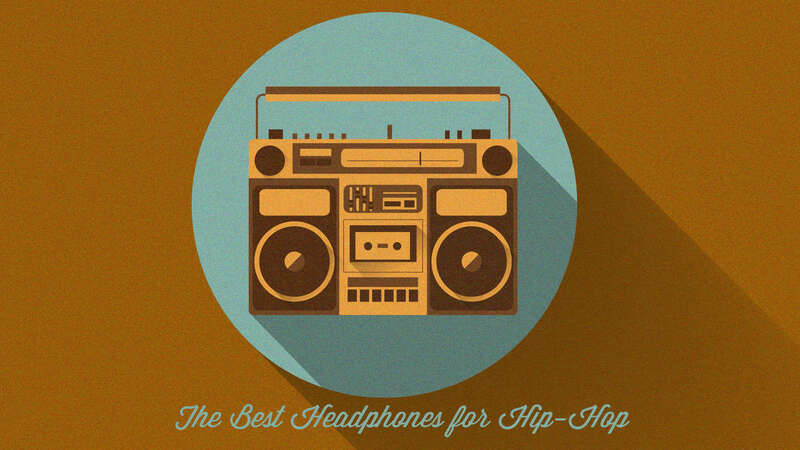 Before we get into the best headphones for Hip-Hop, grab a snack, sit back and relax because.. This is my boom box. There are many like it, but this one is mine. I’ve always been a fan of Hip-Hop music, but my tastes have definitely changed since I was a lad. I was first introduced to it in middle school. It’s interesting in that I never even knew what Hip-Hop was from a baby up until about 5th grade. I was never exposed to it, in part because I came from a Rock n’ Roll household. Learn more: The best headphones for Rock music. vulgar to say the least. 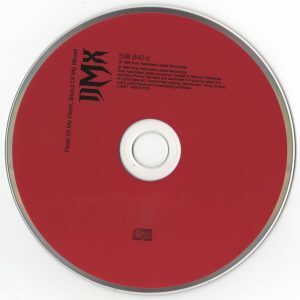 My first real experience with Rap music was DMX’s 1998 album Flesh of my flesh, blood of my blood. In fact, to this day I have inadvertently memorized pretty much the entire album. As a man of God, I’m not really proud of that, but it is what it is. I was young and naive, and thought that the lyrics were cool. It’s amazing that our minds can process stuff like that and keep it stored for a lifetime! It’s also encouraging to hear that Earl Simmons (DMX) has indeed found God, and abandoned his former lifestyle (or is trying to). He still has some issues including a drinking problem, but I pray that God is working it out in his life. I feel deep down that he still has a calling, and hope that he does get it together. The most important thing is that he’s striving. The man has been through a hell of a lot in his life, and I can’t even begin to imagine the half of it. It’s also important to note that despite all of the over the top cursing, vulgarity, and despicable subject matter, there was a track at the very end that acknowledged God in his life. Called “Ready to meet him”, Earl Simmons pours his heart out to God in prayer, and then proceeds to deliver a powerful message over a metaphysical and divinely inspired instrumental. Anyhow, I digress. Much of the Rap I listened to in the early days was very commercialized. I’ll admit it. But here’s the thing: A lot of it is now actually considered good, because the current crop of mainstream artists is even worse! It’s scary to think that at one time, Outkast was considered mainstream. Nowadays they’re what people really miss about Hip-Hop. Most of the music that came from these artists is still pretty good, and stacked against what’s out now, it really fares extremely well. There are a few here that I’m a bit embarrassed about, including Sisqo and the “Thong Song.” But a lot of it has stood the test of time, with some instant classics abound. Ja Rule in particular was always a guilty pleasure for me. He emerged at a time when the fusion of Rap and R&B actually sounded quite good. These are some of the artists and groups that I grew up on. Hip-Hop has changed a lot, and what’s now considered good pales in comparison to even the worst of these artists! You can’t deny that the quality has gone down considerably since then. As I got a bit older, I realized how much I was missing out on. True hip-hop has never died, contrary to popular belief. In fact, I was that person at one point. I thought that just because the mainstream seemed to be watering everything down to the point of Rap becoming unrecognizable, that meant that there weren’t true artists out there still thriving and making good music. There was even a point in time where I was a complete snob about it in some ways. I wanted to discover the most underground artists (or even some old school hip-hop that people hadn’t heard) and tell people about it. But I also wanted people to know that I had the best taste, and knew about the best hip-hop. Looking back, it was completely ridiculous, but I have to admit that I was a bit immature about the whole thing in some respects. That was around my late teens and very early 20’s. Lord Finesse and the D.I.T.C. Some of these artists may not be considered underground, but to me they were since I had never been exposed to them before. For instance, Big L was fairly well known while he was alive, but not as known as say Notorious B.I.G. or a rapper like Big Pun. 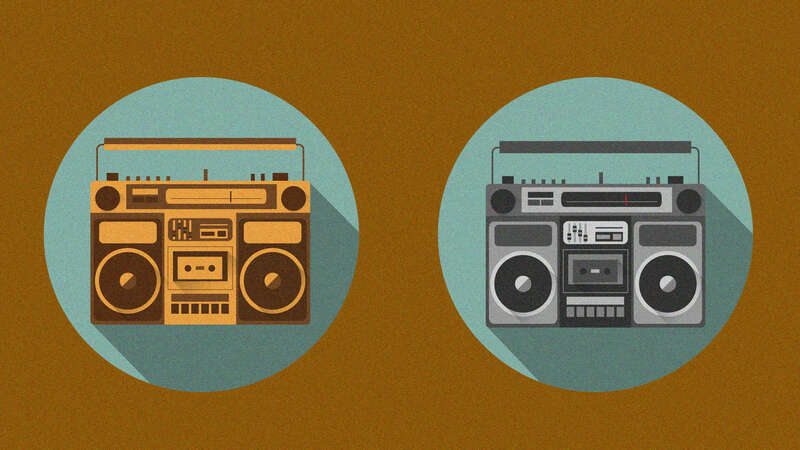 These are my boom boxes. There are many like them, but these ones are mine. After that phase was over, I gravitated towards just instrumentals. To this day I prefer beats over rhymes, and I think to an extent it’s always been that way. Once I started making my own beats and sampling in 2009, my priorities changed from listening to creating. There came a point when my perception of Hip-Hop got more and more cynical, as I saw artists basically re-hashing the same lines in different ways, with no one truly setting themselves apart (Flying Lotus is one exception on the production side of it). There’s only so many ways you can say you’re nice, you know? I do still appreciate and respect artists that put their souls into it, relating life experiences through their music, and talking about real subject matter that people can relate to. But by and large, I think the culture has gotten extremely gimmicky, even on the underground side of things. Regardless of if you’re listening to mainstream or indie/underground hip-hop, the same principles apply when deciding on a good headphone. Let’s get into some of those considerations now! I will be updating this page frequently as I try out new headphones, add to, and take away from this list. Think of it as a constantly changing guide that will ebb and flow with the times!! What is your budget? There are plenty of entry level models that will get the job done extremely well, but we’ll also cover some higher end stuff too! Portable vs. Studio. 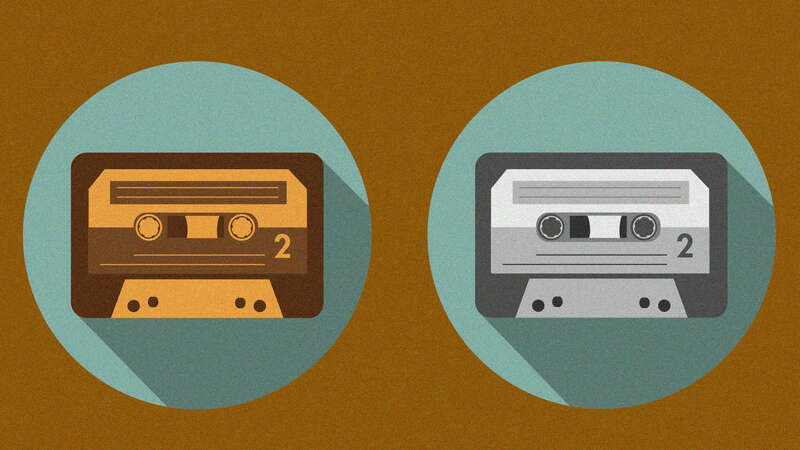 Will you be using these on the go or in an isolated studio environment? Very important to consider this before making a decision. Closed vs. Open. In that same vein, it’s important to know whether or not you will prefer an open back headphone vs. a closed one. Closed back vs. Open back headphones. Bass. It goes without saying that a good Hip-Hop headphone should have a strong bass response. However, it’s not as crucial as you might think. There are plenty of bass heavy headphones out there that don’t sound good because they place too much emphasis on the low end. Today we’ll try and focus on headphones that have good impact but don’t come across as bloated, muddy, or artificial. This will help bring out the mid-range detail and clarity tremendously, and makes for a significantly better listening experience as a result. Bass. As discussed earlier, this is arguably the most important component of a good Rap headphone, but isn’t the end all be all. There comes a point where it results in overkill, and we want to avoid that at all costs today. Treble. Treble is important too. We want that sparkle at the top that gives the music some extra flavor, zest, and overall excitement. Spicy! Instrument Separation and Soundstage. What is Soundstage? This is still important with Hip-Hop, because it gives added clarity and depth to the music. The first time I put on the Audio Technica ATH M50, I was blown away. The music had so much life, and not only that, but the Soundstage was also very good for a closed back. When you start to think that the sound is coming from the outside, it’s a sign of a very good headphone. Learn more: Audio Technica ATH M50 Review! Comfort and Durability. This kind of goes without saying, but I like to be able to wear my headphones for an extended period of time. That said, I personally am a bit more forgiving of comfort than some. Unless the headphone is particularly bad, I can let it slide a little bit and just relegate myself to frequent rest periods. An example of a headphone that I simply cannot recommend because of comfort is the Grado SR325e. When it becomes literally painful to wear, that’s a no go. Learn more: Grado SR325e Review. I let my tape rock ’til my tape popped. Audio Technica ATH M40x. Topping the list is the M40x, as I think it’s the best overall buy for an entry level Hip-Hop excursion. The frequency response of this puppy is perfect for Rap, and still doesn’t come across as too bloated, even though there’s a bump in the mid-bass that can be a smidgen problematic at times. Still, it’s not worth fretting over, as I think this headphone is phenomenal in all aspects. Build is good, comfort is good, and it provides a fantastic overall sound for not much money. Learn more: Audio Technica ATH M40x Review! Sony MDR V6. This is a headphone that does well for a variety of genres, but I like it for Hip-Hop because of the simple fact that it has an extremely good bass response without becoming overbearing. It’s got a ton of impact and clarity in the mid-range, as well as a sparkling treble. Makes for quite an easy recommendation. The 7506 is similar, but has a bit more added bass. Learn the differences here: Sony MDR V6 vs. MDR 7506. That said, the differences are subtle, and you may not even notice. I prefer the V6 as to my ears it’s got a bit better clarity and definition, while also not quite as bright/piercing in the treble area. Philips SHP9500. This has become my new favorite headphone, and in all honesty it’s astounding how good this puppy really is, especially considering I got one for around $54. Yes, the bass does roll off, and you may be wondering why I’ve included it here. Because it’s an open back some roll off is to be expected, but this is likely the only headphone you will need for quite awhile, in the open back category or otherwise. The level of detail it provides is mind blowing, and dare I say it could be a better overall buy than the venerable HD600. Some people may scoff at that notion, but I’m telling you, this is the real deal. It’s about as close as you’ll get to a headphone in the upper echelon, and comes uncomfortably close to providing just as good of a sound. I mean they’re basically giving them away. Learn more: Philips SHP9500 Review! Sennheiser HD558. With the rubber strip/foam mods removed, these headphones really receive quite an overall boost that makes them sound very exciting and more than good enough for a Rap excursion. They will have trouble with sub-bass however, as they have a tendency to bloat the very nether regions (lowest of the lows). That said, unless you’re listening to music that places extra emphasis on those very low frequencies, you’ll be fine with the vast majority of tracks. I found them to be very good with Hip-Hop. Learn more: Sennheiser HD558 Review! V-Moda Crossfade M100. My personal top pick in this price range, these babies are a real treat. The bass never wears out it’s welcome, but comes across with loads of buttery impact, and I can wear them for a long time without too much discomfort. Semi frequent breaks are required though. Add to that they’re extremely durable, and you’ve got a recipe for success! Learn more: V-Moda Crossfade M100 Review! Beyerdynamic DT770. Similar to the 50x, these are much more comfortable, and tend to have more life in the mid-range, which is very important. This along with the 50x are probably the 2 most recommended headphones in this price range for this specific genre. PSB M4U. An underrated gem, these are incredibly crisp and detailed, while also having an outright awesome bass response that doesn’t ever get to be too much. I sat down with these for 3 hours straight on my most recent visit to Audio Advice and loved every second of it. Build is a bit of a concern, but I think they’re still more than worthy of a spot here. Learn more: PSB M4U Review! Focal Listen. Out of the congested middle of the pack headphones in this price range, this one places less of an emphasis on that all important mid-bass, and instead opts for a gradual incline going from 100Hz – 200Hz. I very much thought this was a bold move on Focal’s part, and it happens to work out very nicely. I don’t get that bloat in the mid-bass like I do with other headphones that place too much emphasis on this region. Learn more: Focal Listen Review!! Sennheiser HD25. Some of the fastest, most durable, lightweight, and portable headphones you’ll find. These are incredibly intense and exciting cans that won’t always be the most comfortable. Aside from that, they are perfect for Hip-Hop, as they are made for DJ’s in particular. The bass is strong here as well, but not overdone like your mom’s meatloaf. Learn more: Sennheiser HD25 Review! Audio Technica ATH M50x. Yep, still a good headphone despite people outright slamming this one in recent years. Bass is crisp, intense, and pleasurable like a warm condom, and the mid-range, though kind of recessed, still gets the job done admirably. Treble is crisp and sparkles of course, and as I said earlier, the Soundstage on these is very impressive given that they are indeed closed. Learn more: Audio Technica ATH M50 Review! Beats Solo 3. Couldn’t leave this one off, as it makes a fantastic portable option with it’s Bluetooth capabilities and wireless profile. Learn more: Beats Solo 3 Review!! HIFIMAN HE400i. These have a phat bass response (for an open back) as it neither sounds too aggressive nor too rolled off. This is just about the best open back in this price range or otherwise, and though I love the HD600, I think this does better for Hip-Hop without EQ. The 600’s bass tends to roll off a bit too much to be considered a worthy headphone if you’re strictly looking for something Rap. Learn more: HIFIMAN HE400i Review!! That said, for mixing hip-hop, I think the HD600’s are a better purchase. If you were wondering about the HD600: Sennheiser HD600 Review! Beyerdynamic DT990. This is the quintessential open back headphone, with a strong bass but an overall airy type of character, which lends itself well to detail and accuracy within the song. They are a bit on the bright side, but I didn’t really notice it as much as others have. Bowers & Wilkins P9. Given that I’m not a huge fan of the P series, I was shocked at how good these were. They sound nothing like a P7, and in fact are some of the most crisp and enjoyable headphones I’ve heard in the closed back category or otherwise. Now, if they were only black like the rest of the series, they’d be perfect. I’m not a huge fan of the color scheme, but the sound is nearly impeccable. Learn more: Bowers & Wilkins P9 Review!! Audioquest NightOwl Carbon. These puppies are simply some of the most comfortable headphones I’ve ever worn. They also sound fantastic, and do particularly well as a warm set with some nice added bass emphasis. This is a headphone to kick back and enjoy the music. Learn more: Audioquest NightOwl Carbon Review!! Sony MDR Z1R. These are simply sublime, and will do fantastic with Hip-Hop because the bass is very even and balanced for the most part, and also doesn’t roll off. Out of all the closed back headphones I’ve personally tried out, the Z1R comes the closest to mimicking a true open back. It’s simply stupendous what these babies are capable of. Learn more: Sony MDR Z1R Review!! Audeze EL8. These are smoother than a babies bottom folks, and do extremely well with Hip-Hop if you’re after more of a detailed, effortless sound. I found this beat on Soundcloud to be particularly revealing with these on, as I could hear some micro details that I was missing before. You can even see my comment second from the top! (Stu Pickles) 😛 Bass is like butter homie! Learn more: Audeze EL8 Review!! Focal Utopia. I don’t think I’ve ever experienced anything quite like the Utopia. 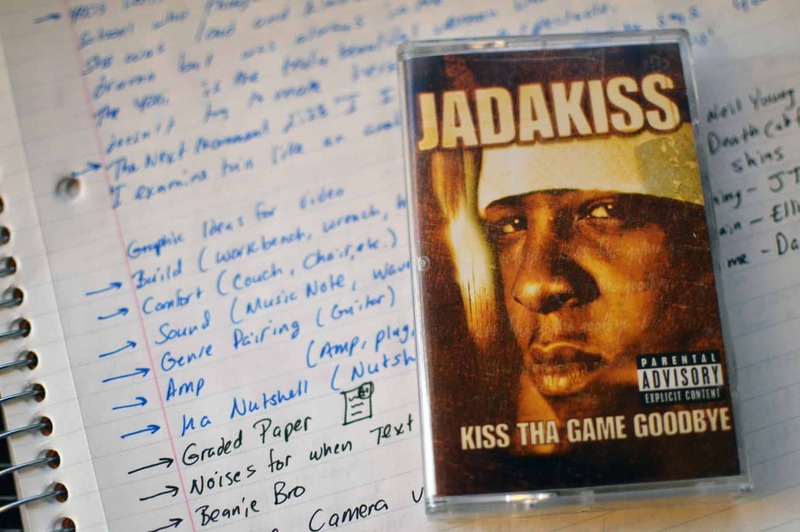 This headphones rendered The Roots’ The Next Movement with startling accuracy, precision, detail, and clarity, to the point of simply being unbelievable. It’s really the perfect package, but does cost a pretty penny. Learn more: Focal Utopia Review!! Well my friend, I hope you’ve enjoyed this comprehensive guide to the best headphones for Hip-Hop. Please let me know if you would like me to add/demo anything, and I will definitely do so if I can! Also I will be updating this page frequently as I try out new headphones, add to, and take away from this list. Think of it as a constantly changing guide that will ebb and flow with the times!! That said, this should get you started in the right direction. If I had to choose one on this list for you? The V-Moda Crossfade M100 is pretty much everything you need in a Rap can. Interested in learning more? Well that’s about it for today my friend! 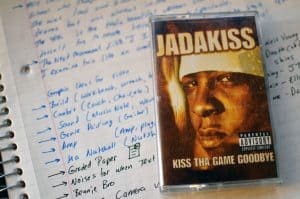 I hope you’ve enjoyed this article on the best headphones for Hip-Hop.